After reading The Avalon Ladies Scrapbooking Society byDarien Gee, I want to move to Avalon, Illinois. Who wouldn't want to live in a small town where everyone knows each other and even the meanest and grumpiest of the inhabitants are really good at heart? 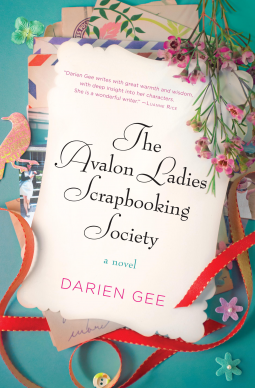 The author deftly uses the Scrapbooking Society as a metaphor for the theme of community and support throughout the book. Just like their individual stories, each of their scrapbooks were different and unique, but like the community, they were also full of examples of sharing and collaboration. In other words, like the lives of the characters they were both separate and yet intertwined. The support that they gave to each other in their everyday lives was a great example of all that is good and right in towns and communities all over the world. This spirit was never more in evidence than when trouble befell one of the inhabitants and the town pulled together. I was a bit confused, at first, by the author's lack of introduction to the characters and thought that the beginning of the book was the weakest part. It seemed that she just jumped into talking about them without really giving the background of who they were or why they were paired together, as in the case of Madeleine and Connie. It was almost like we should already know that information. I realized part way through that, in fact, not only was it her second book, but many of the characters had also appeared in her first book. I still haven't read Friendship Bread, but I think that if I had I would have already been familiar with the characters and therefore the beginning would have flowed better for me. 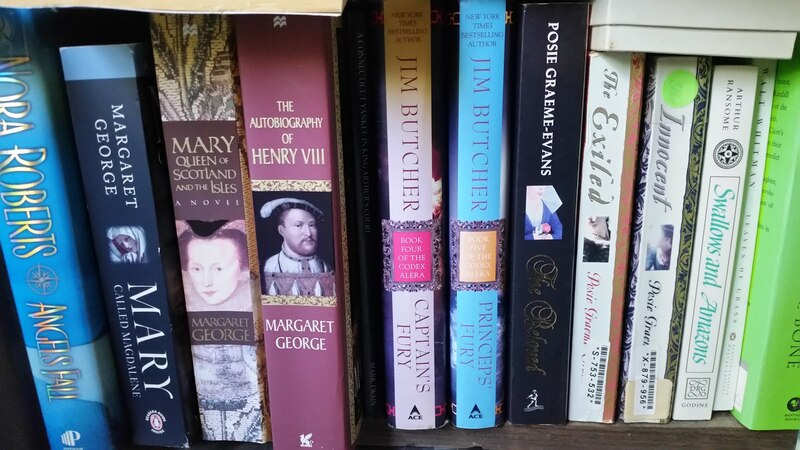 I will give her credit, though, as she filled in the missing pieces, or enough of them, as the book progressed, to make this book work well as a stand alone. By the end of the book, the only reason that I wanted to read Friendship Bread was because I was in love with Avalon and it's inhabitants, not because I felt the need for any extra explanation on the characters in the Scrapbooking Society. What more could a reader ask for? In the end, what really sold me on this book was the strong characters that Ms. Gee filled the book with. And let me tell you, there are quite a few. Instead of being confusing, though, having such a large cast of characters and viewpoints in the story was what made it work for me. I found myself rooting for Frances and her family, wondering if Yvonne was going to succeed, how was Connie going to resolve her relationship with Serena, how would that affect her relationship with Madeleine, how Ava was going to make a place for her and Max, and how Isabel was going to solve her dilemmas. And through it all there is Bette, the president of the Scrapbooking Society and the tie that binds them all together. As I followed them all past their struggles, through their decisions, and to the conclusion of their stories I just felt good. So - I am picking up a copy of Friendship Bread at the library this week and anxiously awaiting Ms. Gee's next installment in the life and times of Avalon, Ill. I hope she is already working on one!